North Walsham Kingfishers A. 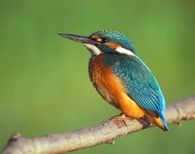 C .
Welcome to the North Walsham Kingfishers' website! North Walsham Kingfishers A.C. has a lake at Granary Farm, Felmingham, North Walsham , NR28 0JN for members only. It is well stocked with most coarse fish and is set in a quiet location. The club also has a varied match fixture list. You can e-mail me at [email protected] with any photos of good catches, tips or anything else to do with the club. New members are welcome. Contact secretary to get an application form or download from the web site.